You are here: Home / led blog / Industry News / Smart LED Lighting for Emergencies. With any loss of power, an effective emergency lighting system ensures the safety and peace-of-mind of everyone on the premises. 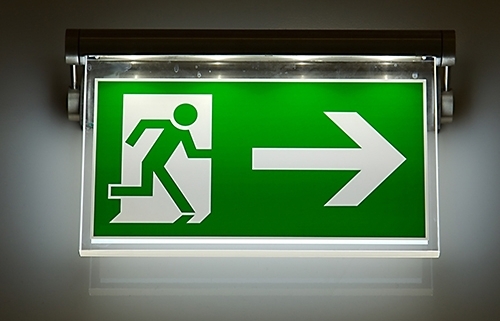 Evacuating people out of a building in darkness can be difficult and dangerous, but emergency lighting systems ensure that the path to safety will be well-lit and easy to navigate. 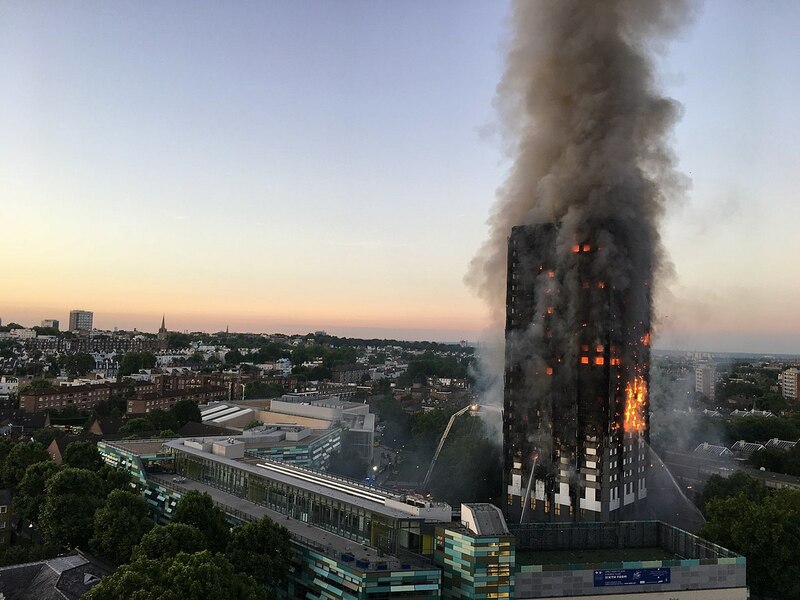 And, while safety of building users, owners and occupiers is the main priority, it will also help emergency services perform their task more effectively. 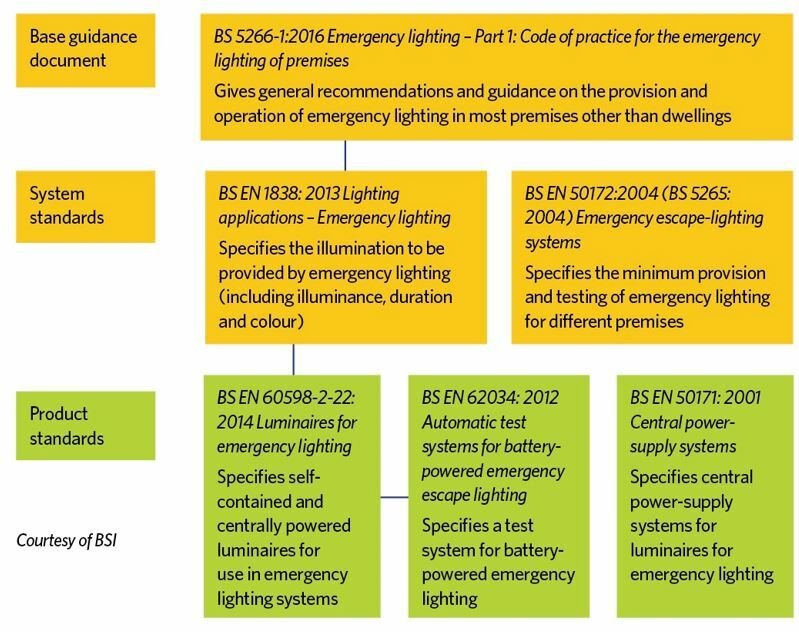 The basic approach to emergency lighting changed fundamentally in 2016, with the extensive revision of BS 5266 Emergency Lighting – Part 1: Code of practice for the emergency lighting of premises. This is founded on strategies of switching to batteries or backup power when the main power source is lost. 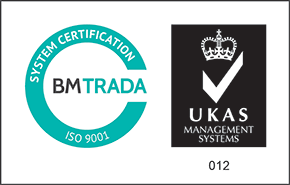 Further details of the requirements are set in system standards such as BS EN 838:2016 for emergency lighting and BS EN 50175 covering emergency escape lighting. Typical guidelines recommend that emergency batteries should test and operate to deliver minimum lux levels of 0.5m+ lx in open areas or more for any escape routes for a 3-hour duration in emergency mode. Such guidelines present a top-down approach, but if existing lighting systems already fulfil the base requirements and system standards, there is still ample opportunity to gain cost and operational benefits by upgrading emergency lighting luminaires, lamps and illuminated signage with LED technology. LED technology represents the ideal emergency light source. It is more robust that conventional lighting and low energy consumption makes the most of the back-up battery energy source. Moreover, it can withstand a greater degree of heat and other stress before failing than other light sources. A rolling programme replaced each of the lights on the complex with suitable LED alternatives from the Goodlight range including 3W Emergency LED Downlights and Emergency LED Bulkheads. Many lights are battery backed up, ensuring continued operation in the event of a power failure or other emergency. Extending the benefit still more, a further advantage of LED light is the possibility to control and monitor a building’s complete lighting system. Smart LED lighting systems have the potential to transform the implementation of emergency lighting in buildings. manual testing is tedious, time-consuming, costly and may be prone to human error. An emergency lighting monitoring system enables building managers to automate routine and periodic testing of emergency lighting, also the regulatory reporting and recording of test results. 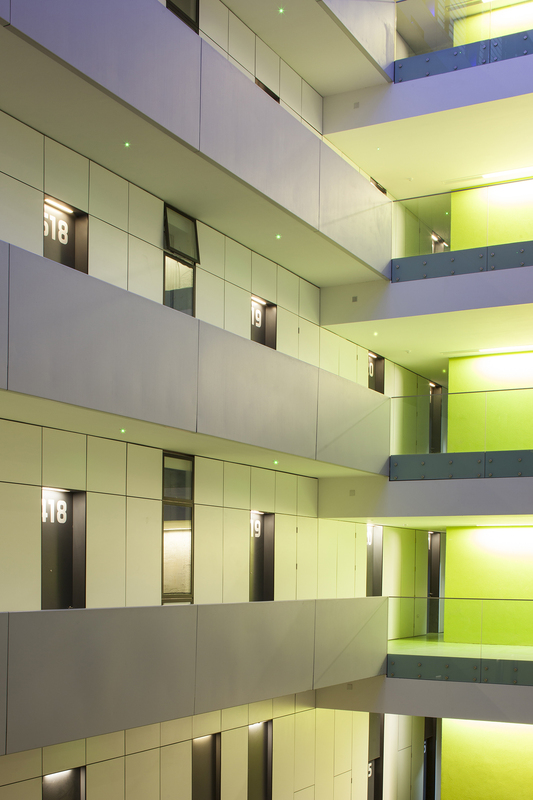 Areas where automation of the emergency lighting process should be strongly considered are in multiple occupancy dwellings, such as social housing, care homes, healthcare, education, hotels and leisure. 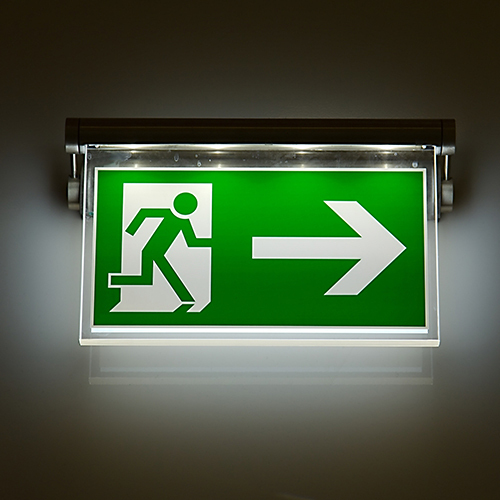 In the wake of recent events like the Grenfell Tower disaster, the spotlight has fallen on preventing emergency lighting failures that contributed to these tragedies. Smart LED lights, connected to building services, create new opportunities. For example, lighting can be connected to the building’s alarm system. In the event of a fire alarm, all lighting can be triggered to 100% on to assist the evacuation. Battery back-up mode can be activated only when the mains power to an area actually fails. Implementation of these solutions is simplified by the recent introduction of simple, scalable, lighting control systems such as Light Boss. Light Boss creates a wireless lighting network, controlled by Android App or web interface, with simple software to set and adjust the building’s lighting. The control system connects wirelessly to individual light fixtures creating a network of tens or even thousands of lights. Right out of the box, Light Boss provides self-test emergency light monitoring, allowing operators to check for faults remotely without testing individual light fittings; also eradicating the need for manual reporting. In addition, it provides live reporting on energy consumption of all connected lighting fixtures, allowing energy management of a single site or a group of sites, making it the ideal tool for complete energy performance of multi-site installations. Unlike alternative smart networks, Light Boss lighting control is universal and retrofittable. This enables lighting to be readily upgraded to a fully controllable LED scheme based on new wireless-enabled luminaires. Even non-LED luminaires can be converted to join the smart network. The Emergency Light Monitoring Dashboard continuously displays the status of emergency lighting units’ health and pre-alerts operators to check emergency fittings for faults. Email alerts can be set up to support maintenance teams with their routine emergency programme management. Lights can also be programmed specifically to respond to an emergency event – for example, ensuring that people inside the premises have all the illumination they need. Lights can follow the escape route through the building, assisting the response team. They can also light the response team’s path towards the people in the danger zone. It is everyone’s hope that emergency lighting systems are never used, but the use of LED fixtures keeps the cost of this ‘insurance’ to the minimum, and compliance to the full. Implementation with easy-to-use, cost-effective solutions for smart monitoring and control increases confidence that the systems will work when they are needed most. It’s all about safety and peace-of-mind. Get on track with LED lighting What is UGR and why is it important?